Literature and oral storytelling are a core subject area of The Brick Project. 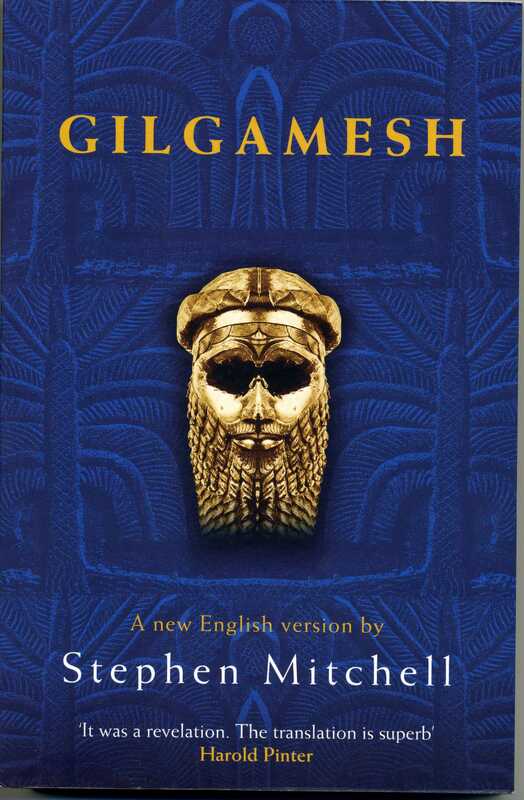 Perhaps the oldest story ever recorded is that of The Epic of Gilgamesh which my daughter Anastasia read just after graduating from middle school. Below is my interview with Anastasia. Gilgamesh dates from as early as 1700 BCE—a thousand years before the Iliad. Lost for almost two millennia, the eleven clay tables on which the epic was inscribed were discovered in 1853 in the ruins of Nineveh, and the text was not deciphered and fully translated until the end of the century. The epic is the story of literature’s first hero—the king of Uruk in what is present-day Iraq—and his journey of self-discovery. Along the way, Gilgamesh discovers that friendship can bring peace to a whole city, that a preemptive attack on a monster may have dire consequences, and that wisdom can be found only when the quest for it is abandoned. In giving voice to grief and the fear of death, perhaps more powerfully than any book written after it, in portraying love and vulnerability and the ego’s hopeless striving for immortality, the epic has become a personal testimony for millions of readers in dozens of languages. 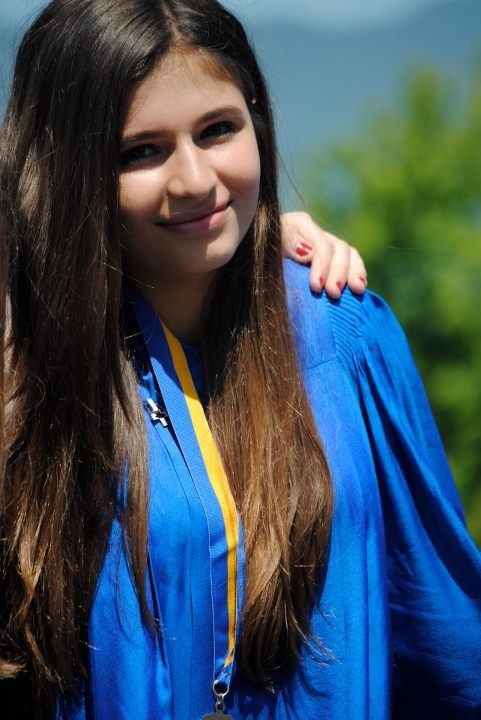 Anastasia Ajania is my daughter – she just completed her first year of high school. She is a primary school graduate of the Lycee Francais de San Francisco and graduated middle school student from St. Hilary’s School in Tiburon, California. Anastasia attends high school at The Branson School in Ross, California where she is on the school tennis team. In her tennis career she has maintained a consistent United States Tennis Association (USTA) ranking within the top 20 in Northern California. Why is Gilgamesh considered to be an ancient hero and what lessons can be drawn from The Epic of Gilgamesh for your contemporaries – teenagers in high school? Well dad, I am not as sure as you are that Gilgamesh is a true hero. I would challenge that assumption. There are a lot of factors that make Gilgamesh want to become a “hero” and some of them are quite selfish. For example, his mother Ninsun really indulges him from a young age and has a lot of ambition for him. Ninsun wants Gilgamesh to be famous and known throughout the city of Uruk and beyond and she influences him a lot. Also, Gilgamesh is not a very nice guy especially when you look at the way he treated women in Uruk. He saw them as his personal property even when they were married to other men. He abused his position as King of Uruk and that is not setting a good example of a leader, is it? To be fair he did actually build the walls of the city of Uruk to protect the men and their families from outside invasions, but that does not give him the right to be so sneaky with the women of Uruk. Enkidu, Gilgamesh’s friend, is a sort of “beast version” of Gilgamesh; he challenges him to take a stand for womens’ equal rights. He wants Gilgamesh to be a kind king to Uruk’s women. Pretty progressive for 2,500 BCE, right? Gilgamesh is an over-indulged egoist so he refuses to improve his character. To me, that is not a sign of a real “hero”. A real hero is someone who is willing to change his ways and become a better person – a more considerate person, than he was before. It should be a character make-over. Enkidu offers Gilgamesh this opportunity to better himself but Gilgamesh turns him down. And Ninsun does not help matters because she is a powerful goddess and she thinks Gilgamesh should behave however he wants to. So, women remain second class citizens in Uruk. There is also the thing about Gilgamesh going off to the Cedar Forest and killing Humbaba, the forest monster. Whatever Gilgamesh’s mother may say, the poet makes it impossible to see Humbaba as a threat to the security of Uruk or as part of any ‘axis of evil’. Unlike Grendel in Beuwolf, he is not seen as the enemy. This is the main reason I challenge the idea that Gilgamesh is a “hero”. Humbaba should not have been killed – he was a good monster. He was there to protect the predators who would destroy the trees by chopping them down. This monster had a noble purpose. And Gilgamesh kills him off! Why? All because Gilgamesh is seeking a way to fame and glory – so he uses Humbaba as his excuse. He kills the monster because that is what “heroes” are supposed to do. But this monster, Humbaba, is a good monster and Gilgamesh killed off something good. Like the precivilized Enkidu, Humbaba is a figure of balance and defender of the ecosystem. (Having a monster or two around to guard our national forests from corporate and other predators wouldn’t be such a bad thing). Gilgamesh does not have a pure heart. I think a real hero must have a pure heart. Gilgamesh is a sneaky guy. Even Utnapishtim figures that out when Gilgamesh comes to him to seek immortal life. Utnapishtim warns his wife Urshanabi to be careful of Gilgamesh. In my generation we have a saying which is “YOLO” – which means “you only live once”. Teenagers say “YOLO” a lot these days. So now, what are you going to do with your life if YOLO? You are not going to live forever so you better do something useful, something that has a value to yourself and to the world. Sadly, in my generation YOLO is an excuse for just trying to get empty fame and recognition – because that is what the media keeps telling us kids to aspire to. To me, that is not a path to becoming a hero. The path to being a hero is sometimes a slow, hard, painful path and it sometimes means making great sacrifices. It’s not about physical appearance or instant popularity and how many friends you have on Facebook. In a way, Gilgamesh is not someone who is a real hero like heroes in history, he is actually the kind of fake hero that we often see in magazines and television these days. He is a celebrity and should have been in the cuneiform People Magazine version of his day. You know, people who just want to be famous and think only about themselves and not about the rest of the world. A hero to me, is not someone who is always popular. Sometimes, to be a hero you have to take a stand for something that can make you very unpopular. Having the courage to take a stand for what you believe in (even it does not make you popular) is often part of the long, hard journey of becoming a true hero.